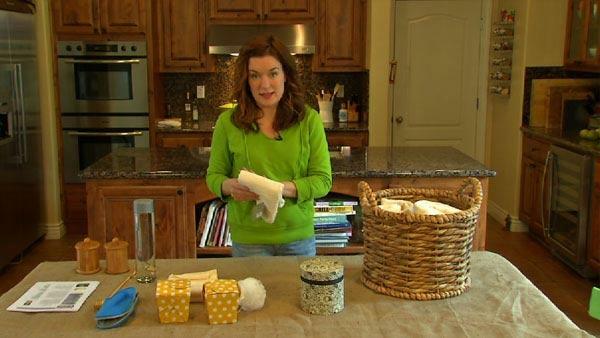 Lisa Quinn shows you an easy way to prepare for your visitors. Create a guest room in a basket. Be specific with dates of when you will arrive and depart. Let your hosts know your plans early on. Keep your guest area very neat. Make your bed and put your laundry away. Clean up after yourself. Don't leave dirty dishes in the sink. Make sure you shower when it is convenient for your host. Your host may have to get to work, and will have to plan your shower around their schedule. Don't keep your hosts up late. Always offer to help make meals. Offer to help pay for groceries if all the meals are being made at the home. Make sure you can entertain yourself. If they have a busy schedule, they may not be able to spend all of their time with you. Leave a thank you note and even a gift when you go.